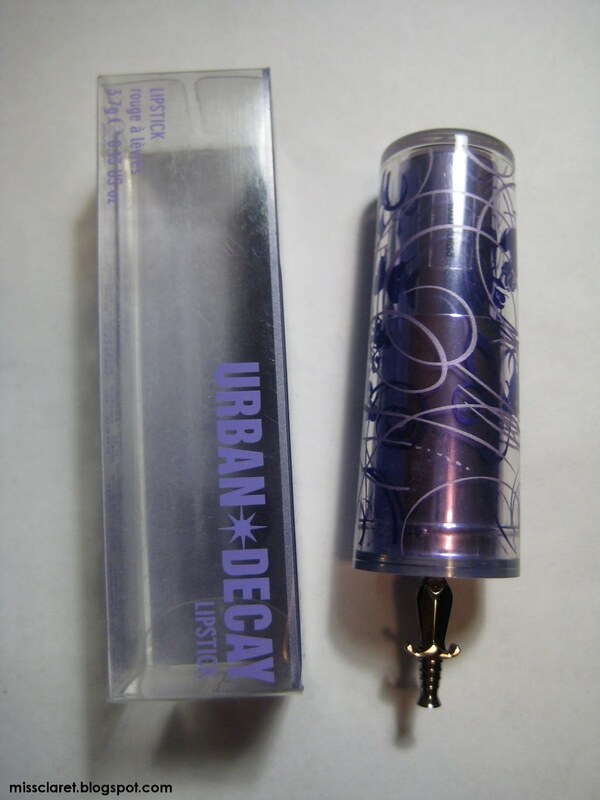 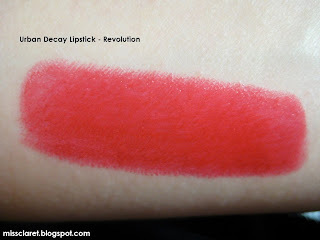 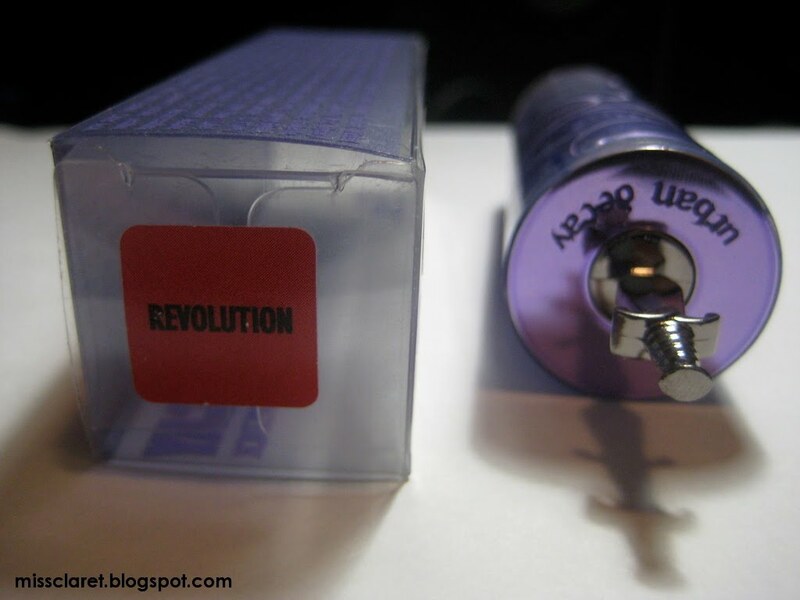 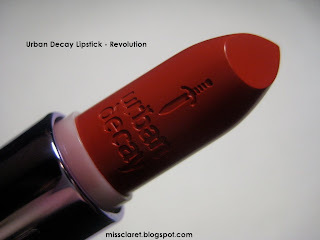 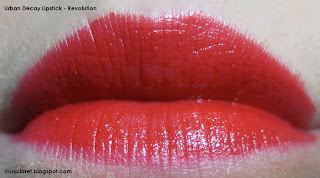 I purchased Urban Decay's Revolution Lipstick after seeing it on a beauty blog a couple of months back. I am so impressed with the vibrancy as well as the texture which is very light but VERY rich. 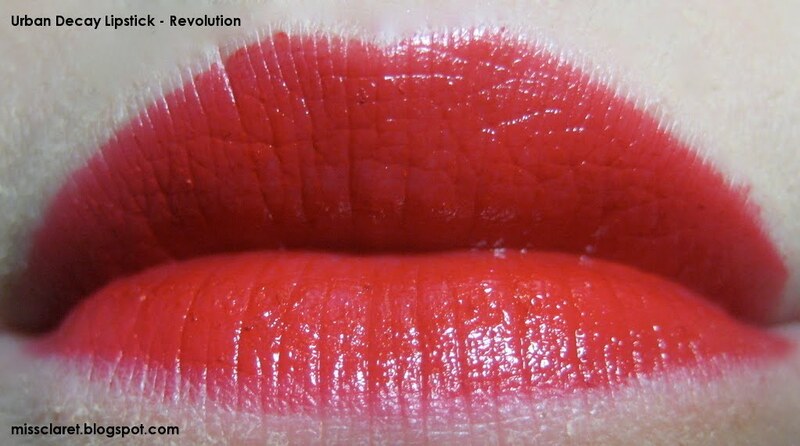 The lipstick is smooth and looks absolutely amazing on - glossy without being a gloss. I have a feeling this will be my lipstick of the week! As far as kitsch packaging, the little sword at the base makes it difficult to hold while applying. 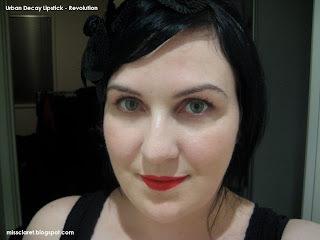 I am also not overly confident that delicate adornment will last in the chaos that is my hand bag!